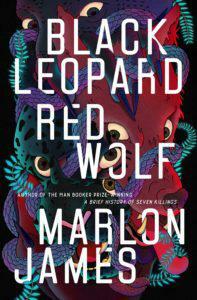 Today marks the release of one of the most anticipated books of the year: Marlon James’s Black Leopard, Red Wolf, a sprawling literary fantasy and the first in a projected series. James is one of our best and most interesting contemporary writers, and I suggest that you read his latest—as well as any number of other works of literary fantasy, some of which I will recommend below. But first, what do I mean by “literary fantasy”? There are probably as many definitions for this term (and most genre terms, which are all watery at best) as there are readers, but for the purposes of this list, I am using it to mean works of fantasy that prioritize sentence-level craft and/or complex thematic structures, and/or that play with expectations and fantasy tropes, and/or that focus on characters and interiority as primary goals of the work. I don’t just mean “well-written fantasy” or “literary novels that have magic in them,” though both kinds of books can be found here. 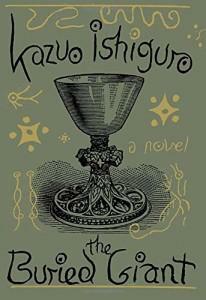 What I mean is books that relate to and pull from the conventions of both genres: fantasy and literary fiction. This means there might be dragons, and there might be a hero’s journey, and there might be some lyrical descriptions, and there might be some family conflict. There is also some crossover with SF and literary SF, of course, but I will try my best not to conflate the two. So with all that said, here are a few wonderful works of literary fantasy, that I recommend to all lovers of fantasy and all lovers of literary fiction. (NB that this is of course just a start—feel free to mention more books and writers below.) If these are uncertain waters for you, well, throw off your genre goggles and try something new! You won’t be sorry. In his newest novel, James has created a surreal imagined Africa, which Michiko Kakutani called “the literary equivalent of a Marvel Comics universe—filled with dizzying, magpie references to old movies and recent TV, ancient myths and classic comic books, and fused into something new and startling by his gifts for language and sheer inventiveness. . . . [It] feels like a place mapped by Gabriel García Márquez and Hieronymus Bosch with an assist from Salvador Dalí.” It is an epic quest with monsters and mayhem at every turn—but also a complex literary landscape second to none. 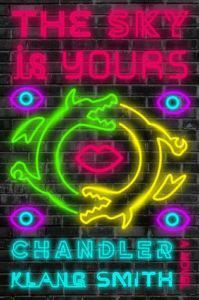 Another recent doorstop that I loved: this crazy adventure from Chandler Klang Smith, in which two aging dragons circle a destroyed city, a late capitalist heir bucks tradition, and a rich girl with too many teeth in her mouth finds herself queen of the criminals. Plus, you have wild, ludicrous, wonderful language, references to Infinite Jest, madcap adventure, and all the characters you can handle. It’s an absolute treat. 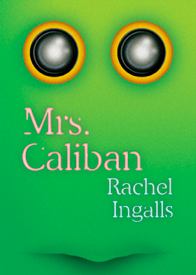 If you read this website at all, you probably already know that we all love Rachel Ingalls and Mrs. Caliban. Otherwise, imagine if, a few pages into Revolutionary Road, an enormous, froglike monster appeared and he and April fell in love. I know: it would really improve things. 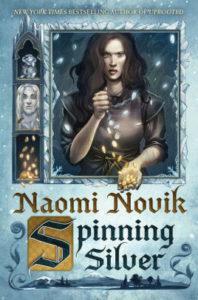 Technically, this is a reimagining of the Rumpelstiltskin story, but it’s so much more than that: it’s about the daughter of a moneylender who takes over the family business, and who is so good at it that she catches the eye of a faerie lord who wants eternal winter. It’s also about a woman forced to marry a demon, and what she does about. It’s also about mothers and daughters and religion and honor. It’s probably the closest thing to straight fantasy on this list, and it might be YA, but the deft language and complexity of theme make this a literary fantasy knockout for me. Kelly Link is the queen of literary fantasy—or, I suppose, literary-horror-SF-fable-surrealist-speculative-fantasy, because she never chooses, and she never has to. It’s all great. 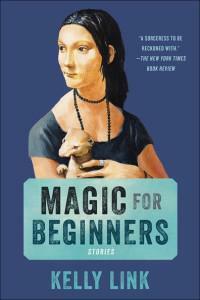 Magic for Beginners is probably still my favorite collection of hers, but consider this entry as a gentle suggestion that you read her entire oeuvre, which is replete with faerie handbags, magical television shows, vampires, new Boyfriends, haunted toothbrushes and other glories. 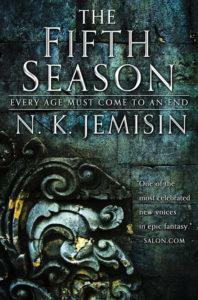 Here’s another book that I am constantly on about (so I’m told): N. K. Jemisin’s stupendous The Fifth Season, and its sequels. It has everything that a traditional fantasy novel would have, and then some: deep character development and interiority, intense consideration of the world and what humans do to it, elevated language. I barely came up for air. 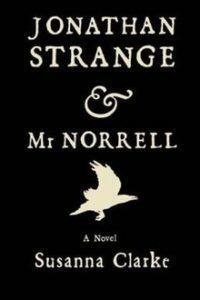 You may or may not have just scrolled through this list looking for Jonathan Strange and Mr. Norrell. 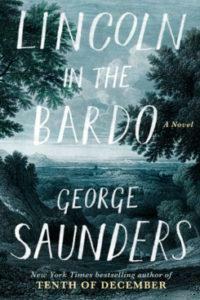 If so, hi, and I don’t blame you: this is a highly literary work, an alternative history that takes style cues from Dickens and the Brontës but also delves deep into the practice and problems of magic. Very satisfying, no matter your interests. 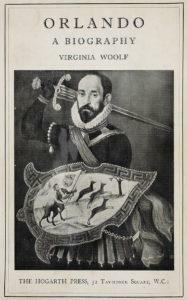 Genre-bending and gender-bending, clever and punchy and strange, internal and magical and entirely Woolf, this classic love letter is the ur-text of literary fantasy.